On Tuesday the 29th of February we had our monthly dinner ride. 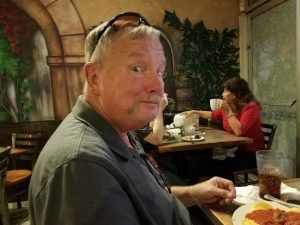 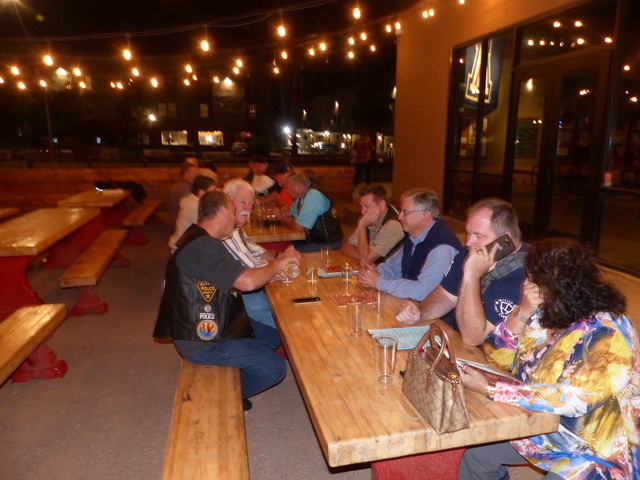 This month our ride was @ Ole Mexican Grill. 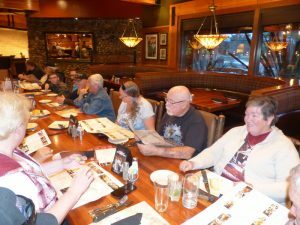 In attendance were: Frank B., Bob W., and Debi K. from OR II, Twan V., Paul Hill, Allen S. and Susan W., Gary A., Bruce & Bonnie D., and your truly. 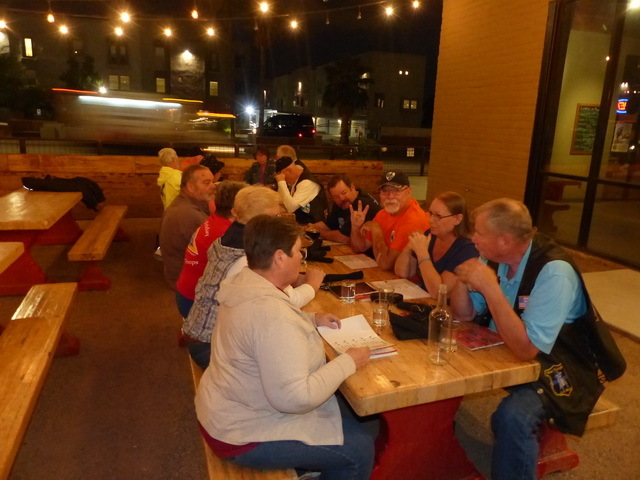 On Tuesday October 30th we had our monthly dinner ride. 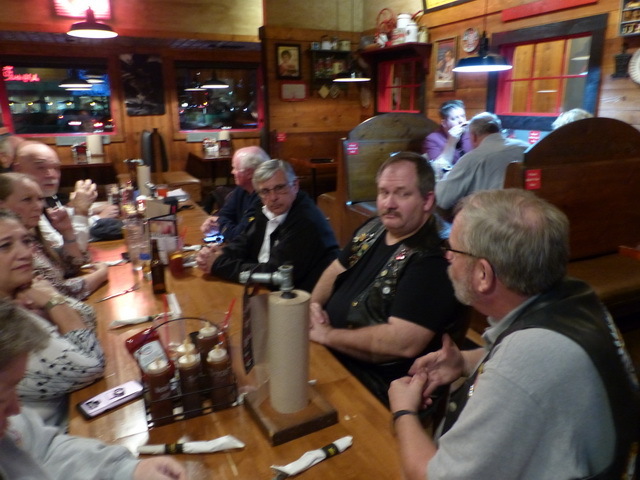 This months ride was to Brother John’s Beer -Bourbon-BBQ. 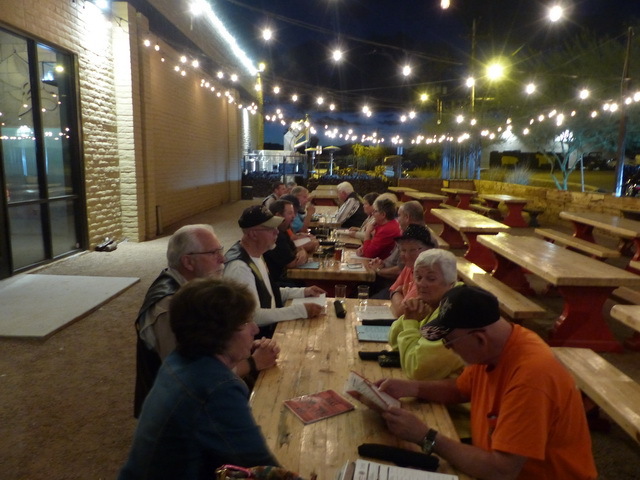 WHAT a turnout we had this month. There were a total of TWENTY-ONE members and guests. We even had some visitors who are in town from Oregon 2. Those who attended were: Gary A., Sandy M., Mel & Marsha T., Lois C., William G., Bear & Robi C., Bob W. & Debi K from Oregon 2., Larry & Andi, Bruce & Bonnie D., Alan V., Frank B., Jim K., Alan S., Susan W., Rev. 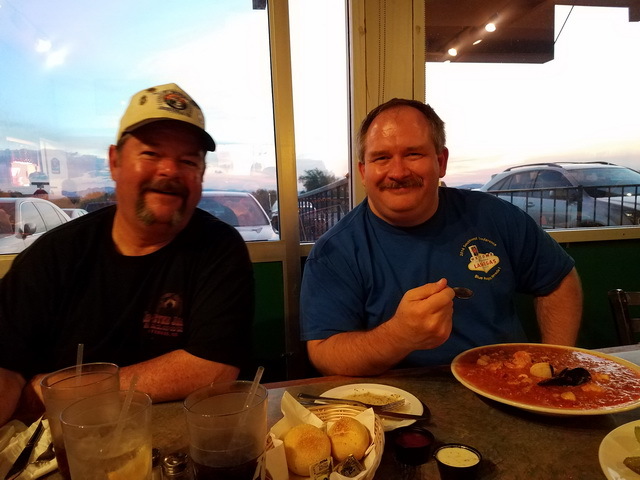 Bill, and yours truly. Here are some photos of the dinner ride. 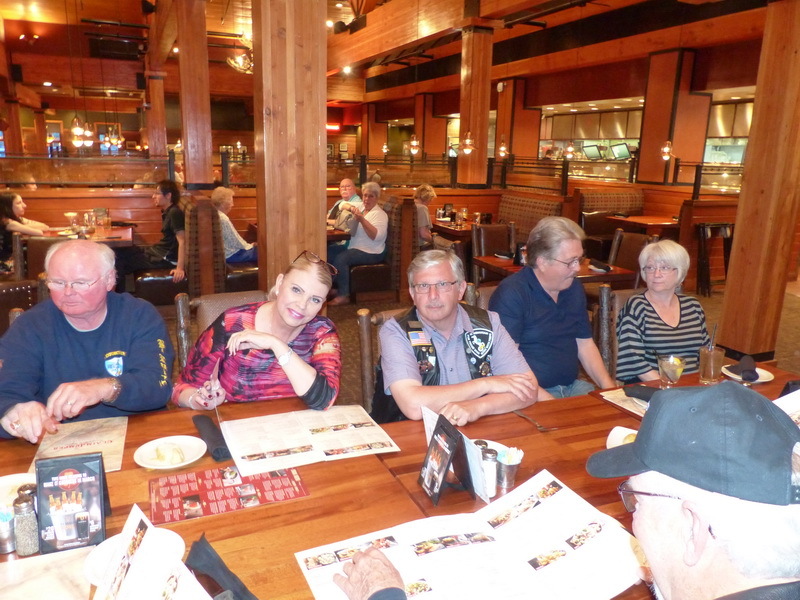 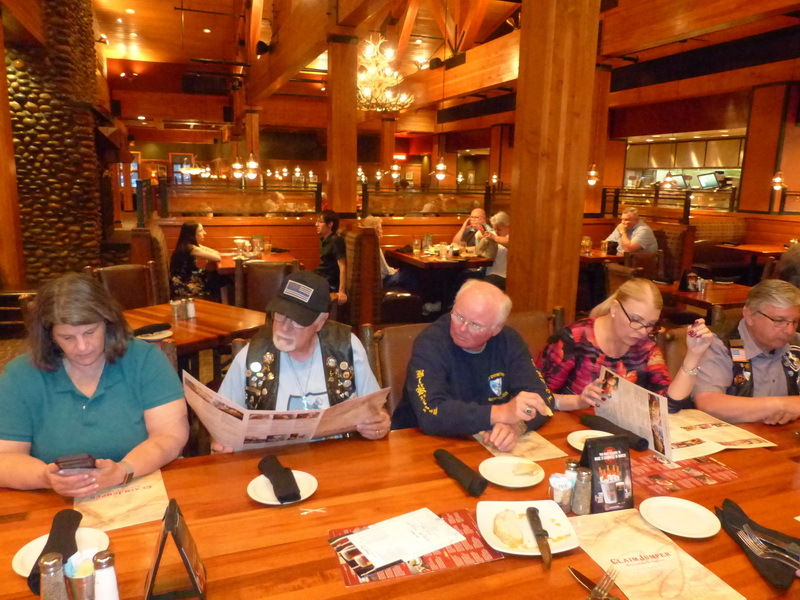 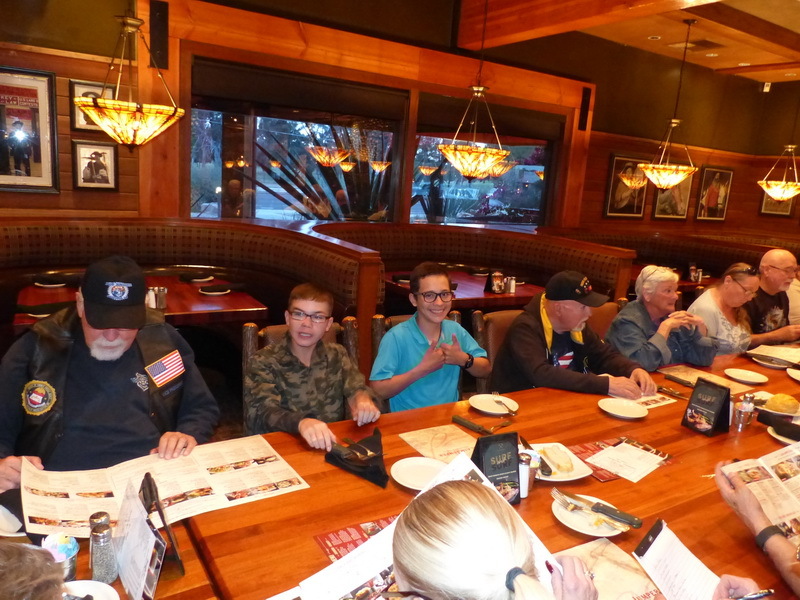 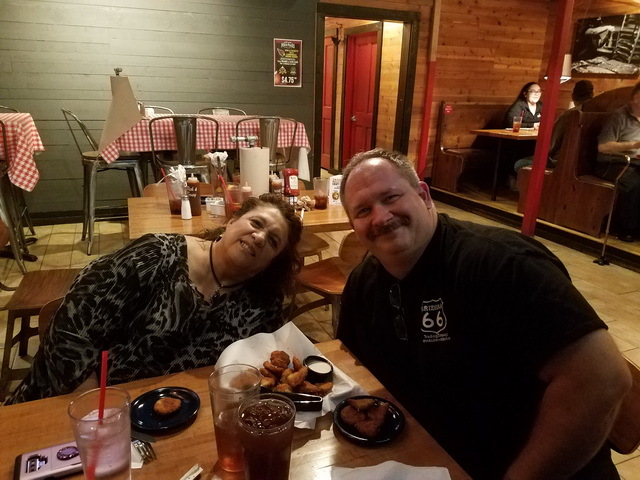 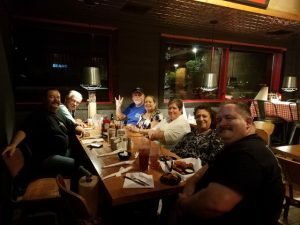 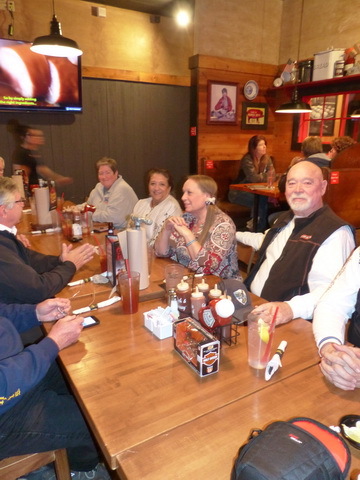 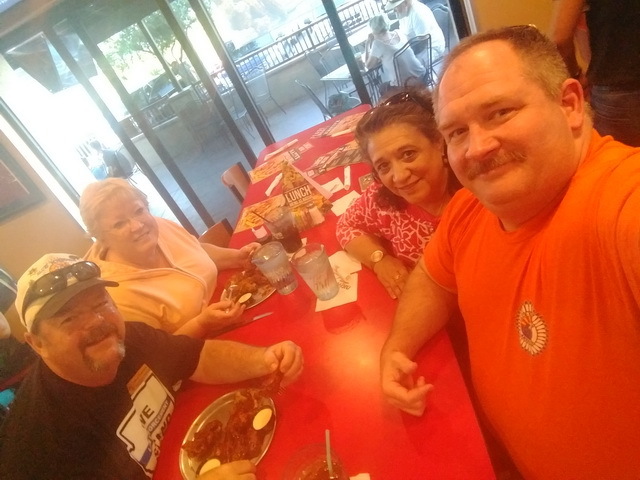 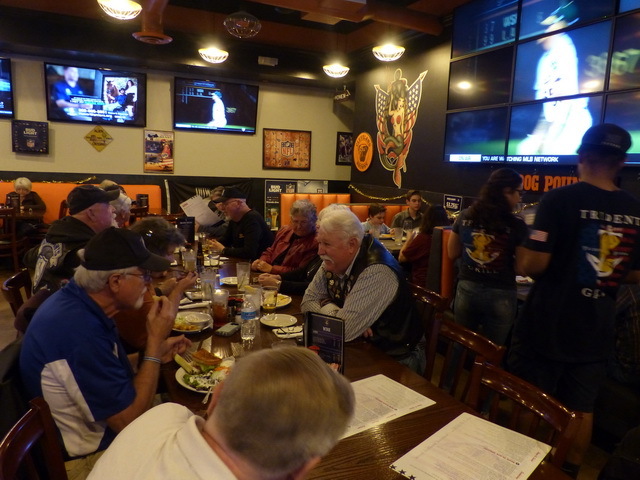 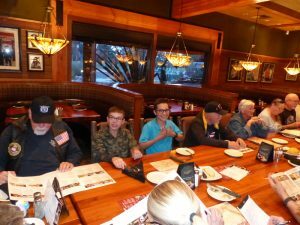 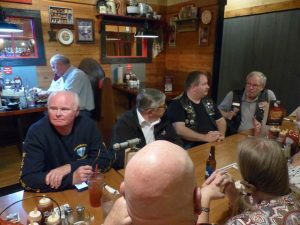 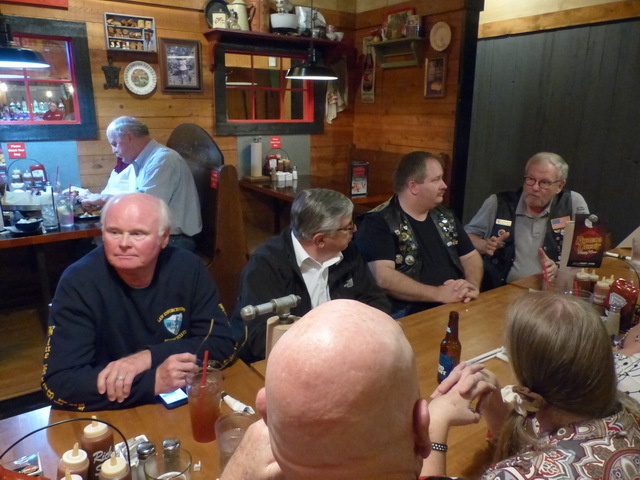 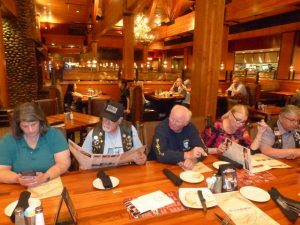 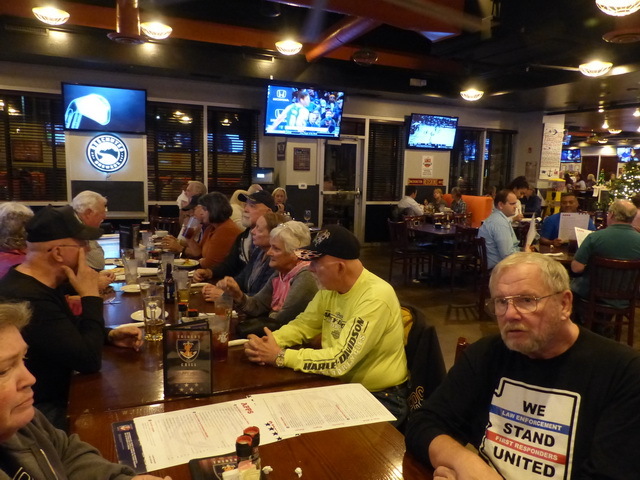 On Tuesday September 25th we had our monthly dinner ride @ Famous Daves. 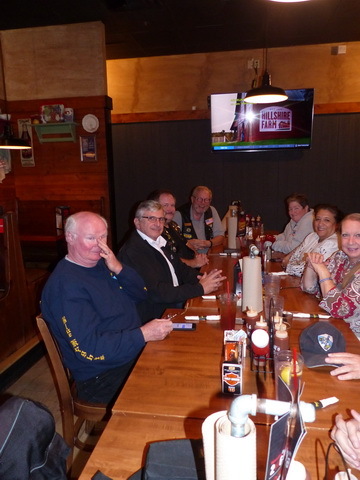 Those in attendance were: Susan & Alan, Bruce & Bonnie, Bear & Robi, and two guests of Bruce & Bonnie who are fellow Blue Knights visiting from Oregon from Oregon II, Bob Wiro & Debi Kelly. Bob & Debi are wintering here in Arizona. Here are a few pictures of the group. 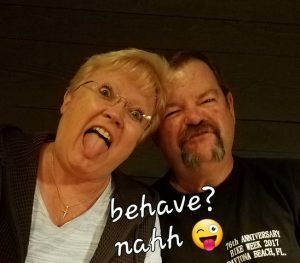 Hopefully if we did not scare them away we may see more of them during the fall. 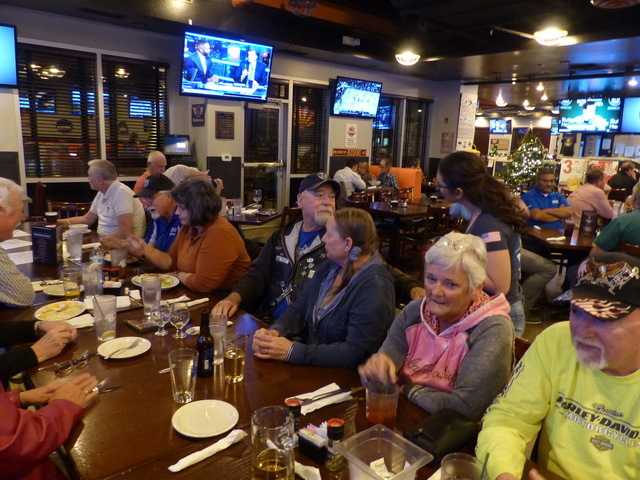 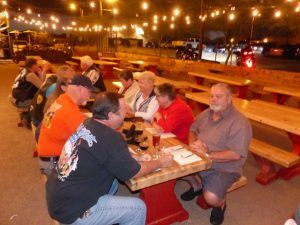 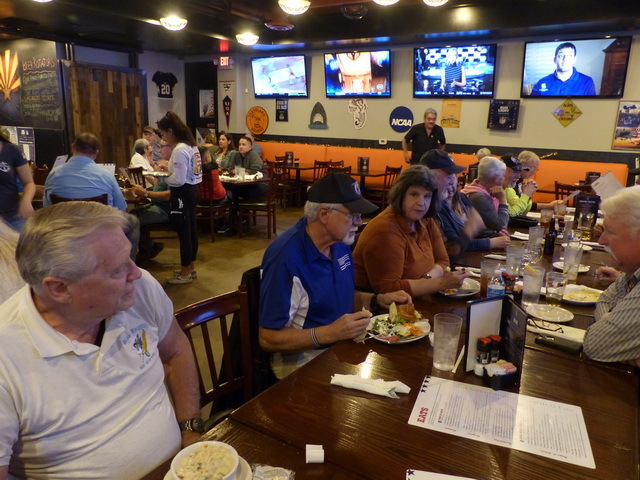 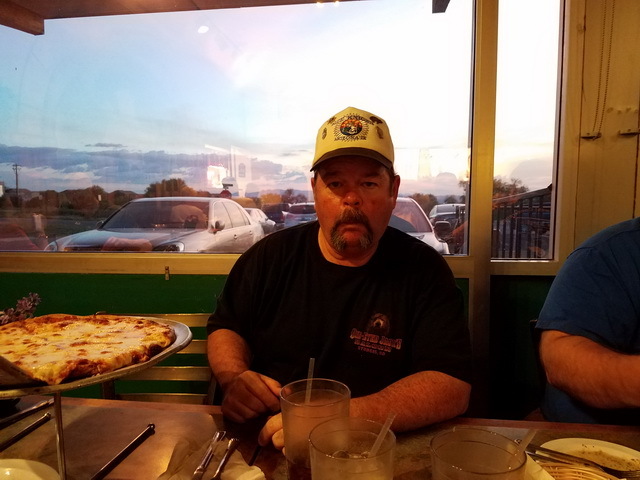 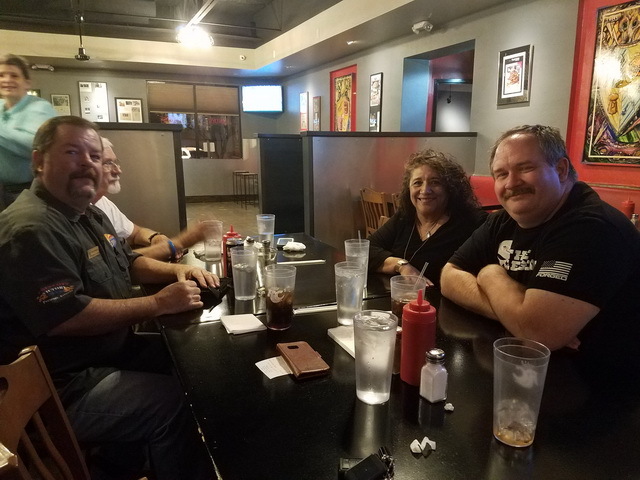 We had our monthly dinner ride on Tuesday August the 28th at Lindy’s off 4th. 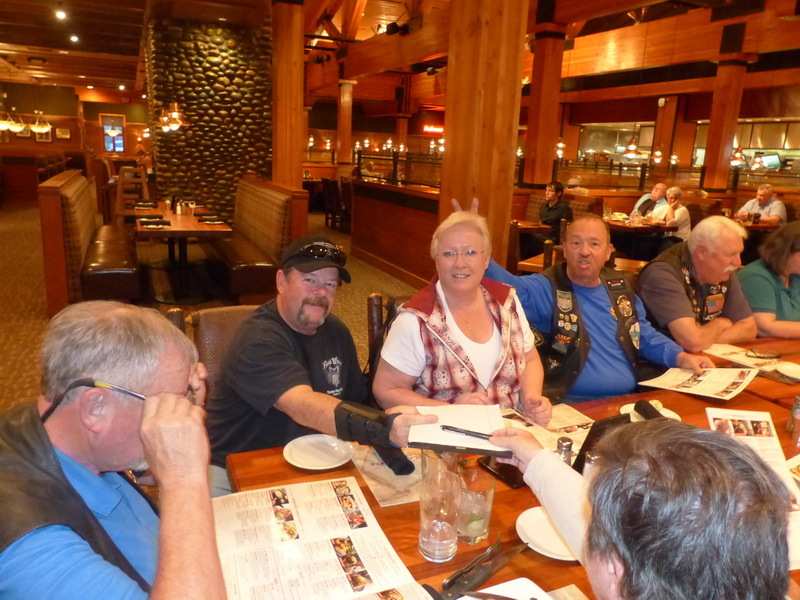 This months ride brought out members, Stan & Patti, Allen & Susan, and finally Bear & Robi. 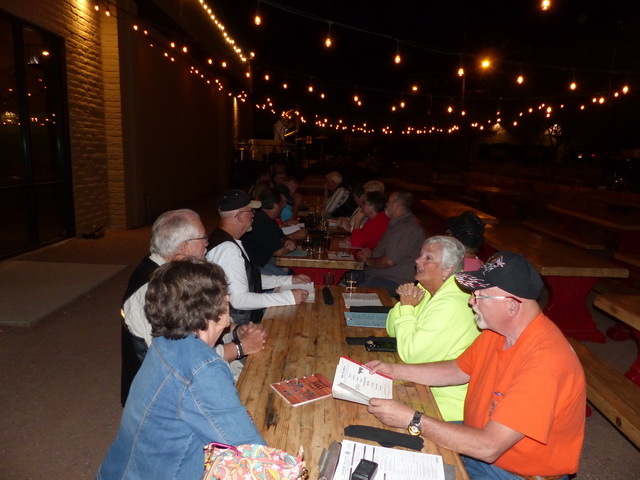 The food was yummy and the conversations were great. 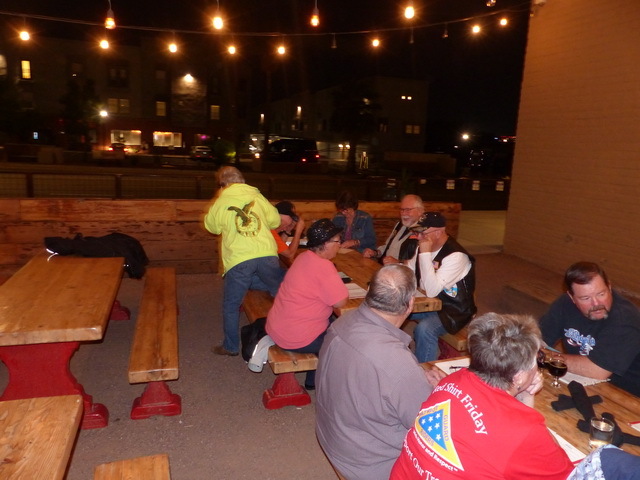 They even have designated parking for motorcycles. We had our monthly dinner ride for July @ Angezianos and the food and friendship was amazing. 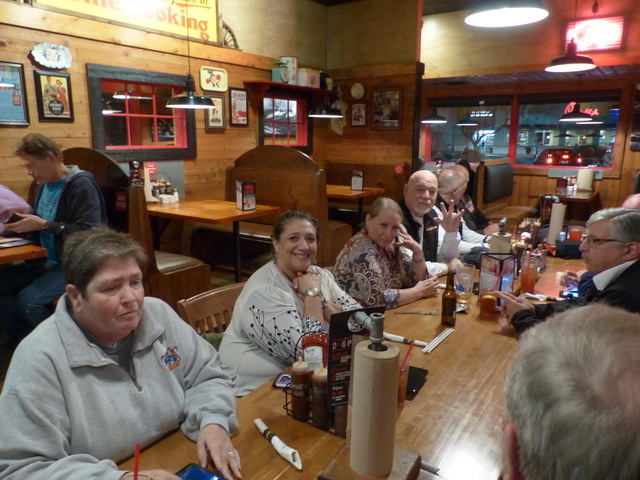 While we only had a few members and spouses there was still fun for all. 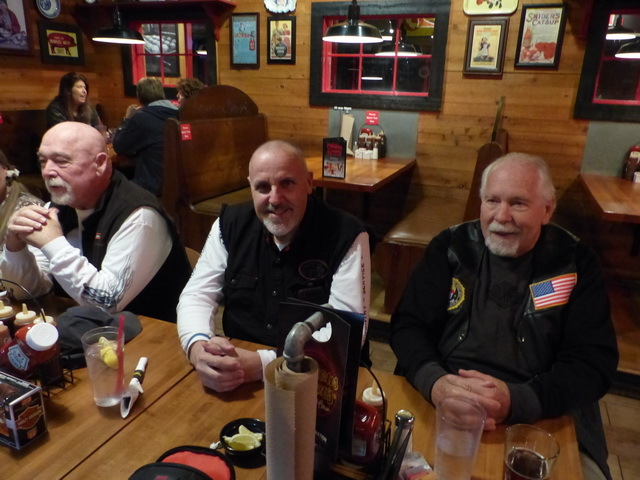 Those who made the ride were: Bruce Distler, Allan Stewart, Susan Wagner, Bear & Robi Campbell. Our July Dinner Ride will on Tuesday July 31st at the Argenziano’s. 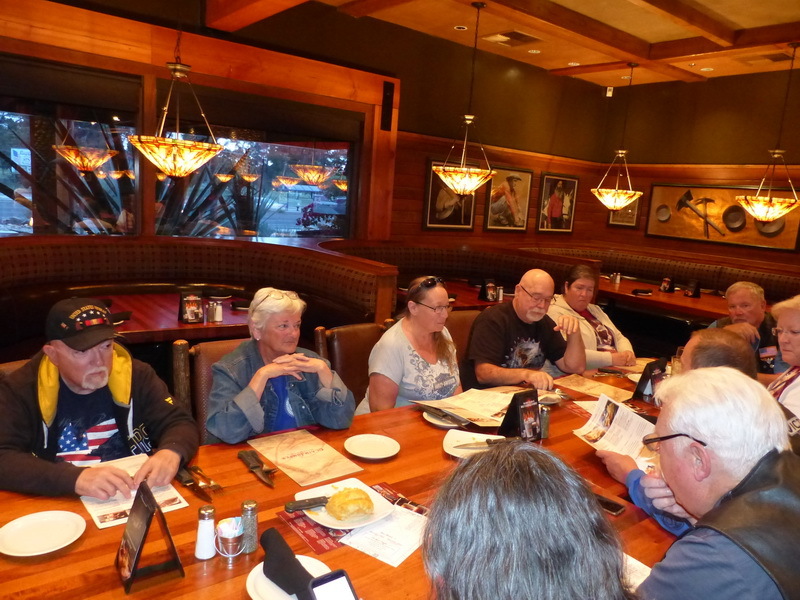 Our meeting time is 6:30 pm. 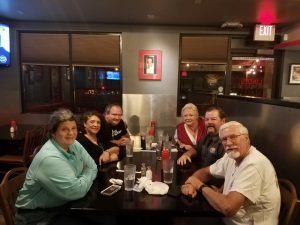 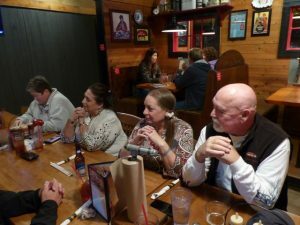 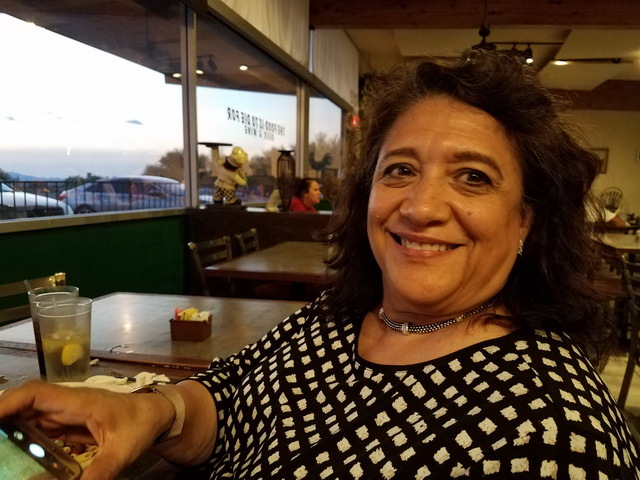 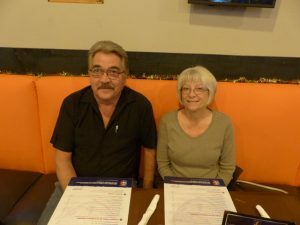 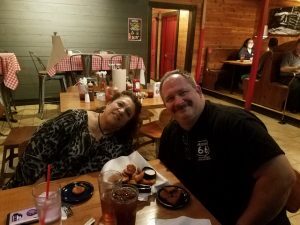 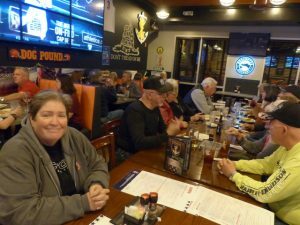 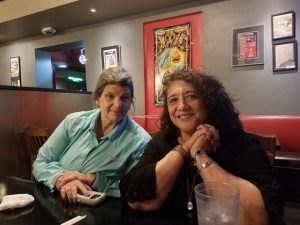 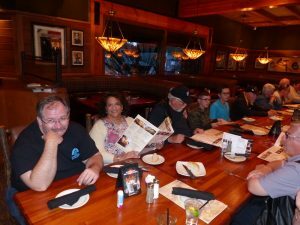 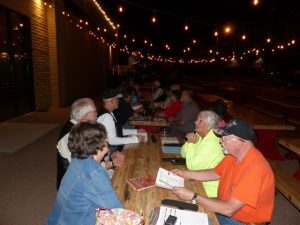 We had our monthly dinner ride and this month we went to Native Grill & Wings. 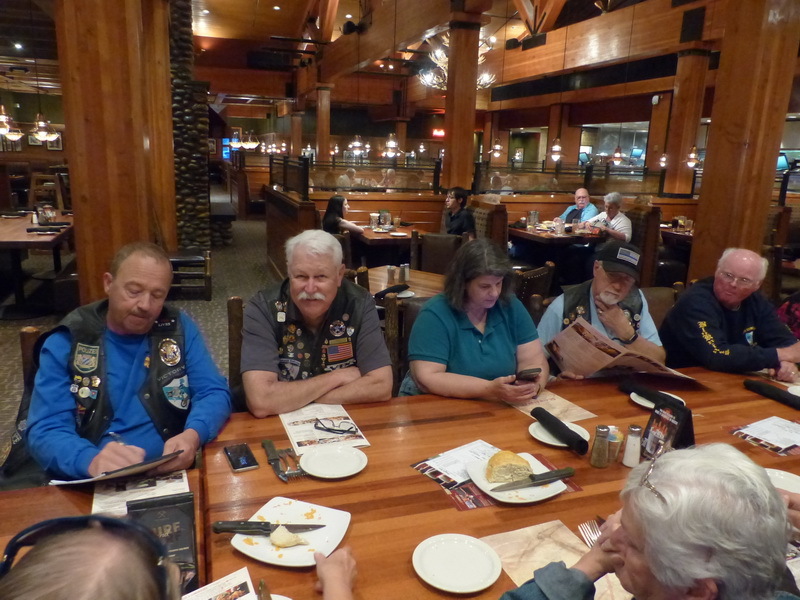 Unfortunately for some reason this month we ONLY had two members and their wives attend. 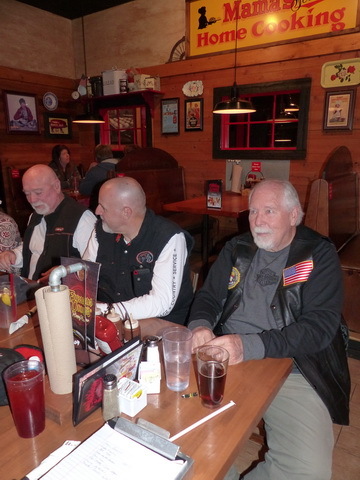 Here is a picture of those who made the ride, Alan Stewart & Susan Wagner and Bear & Robi Campbell.